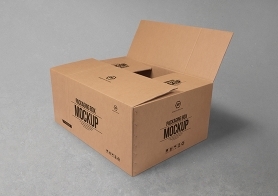 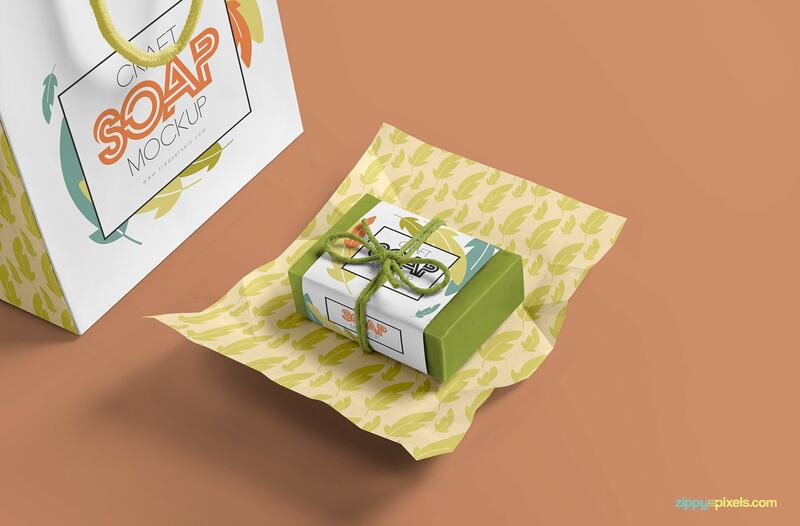 Make your soap packaging designs look fantabulous by using this free Soap bar mockup. 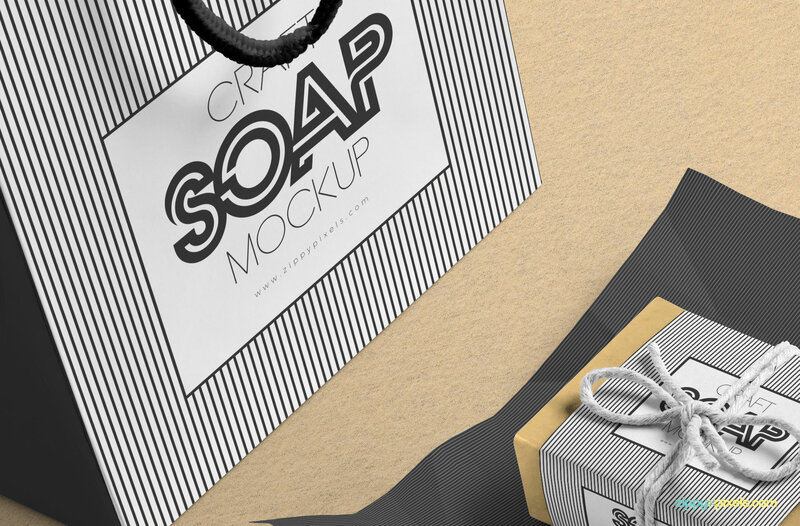 The shopping bag and the soap, both are placed on separate layers so you can customize both items individually. 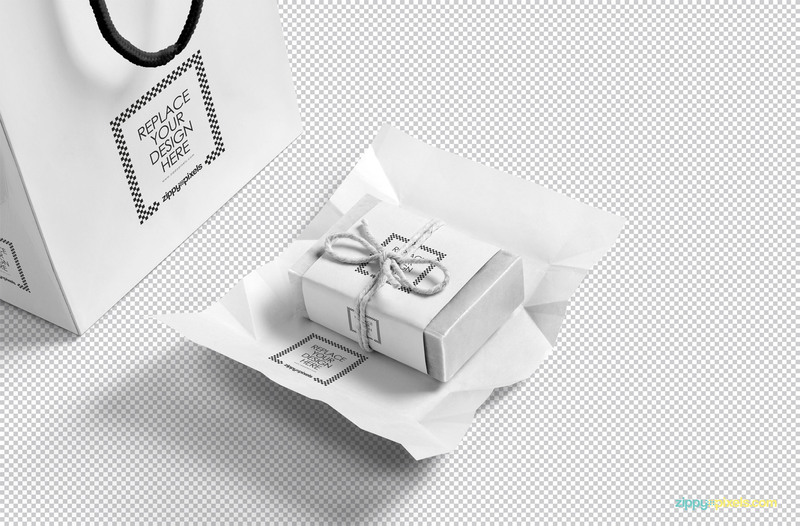 You can change the design of the packaging sleeve of soap, wrapping sheet and the shopping bag. 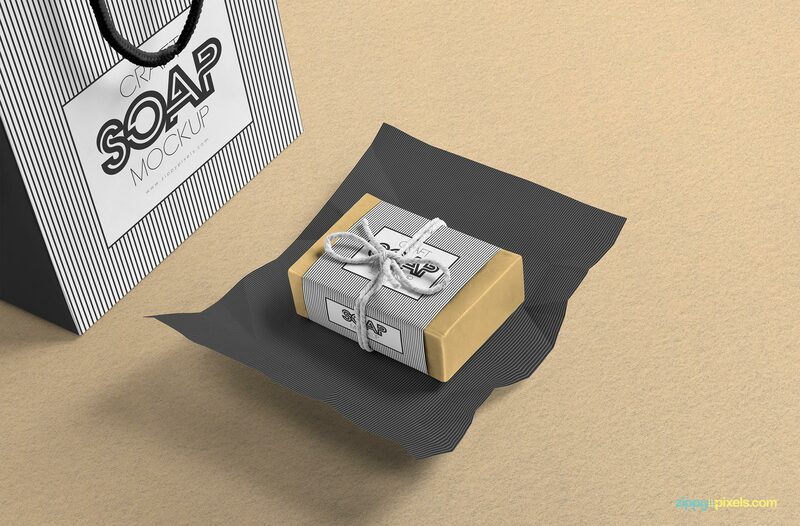 Simply use smart object feature to place your design on the packaging sleeve of the soap. 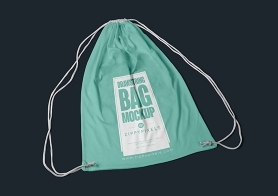 Apart from the soap, you can also display your designs on shopping bag front and side. 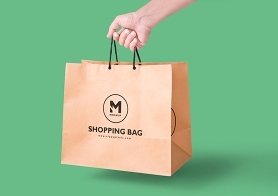 You can also hide or show the shopping bag if you want to. 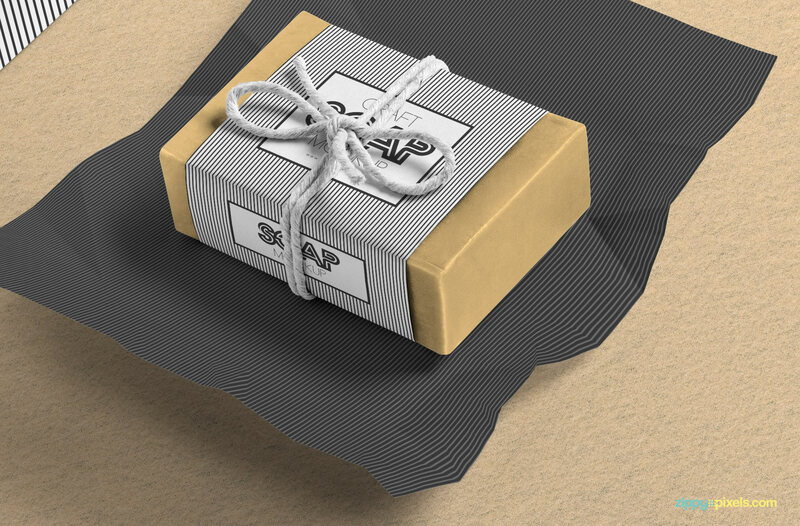 Moreover, you can customize the background, color, shadows and the effects as well. 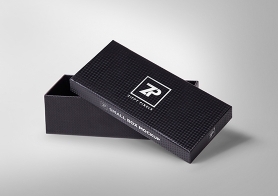 Download it now for your next project and don’t forget to share your reviews in the comments box below.